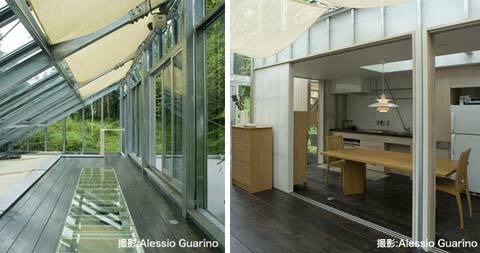 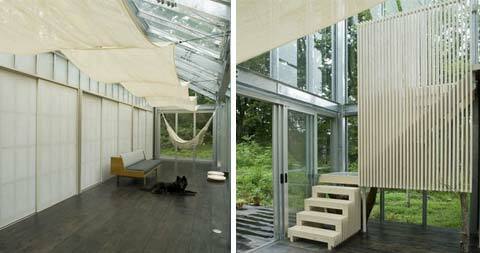 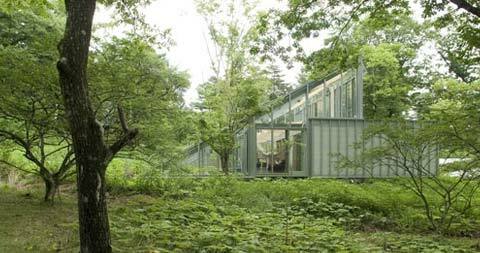 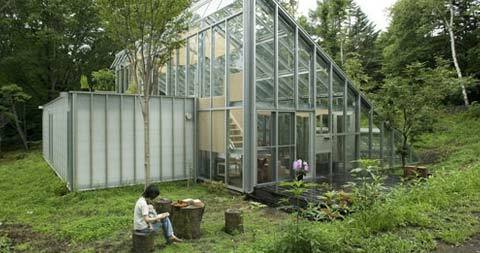 Japanese architect, Hiroshi Iguchi designed this beautiful glass home called ‘Camouflage House’. 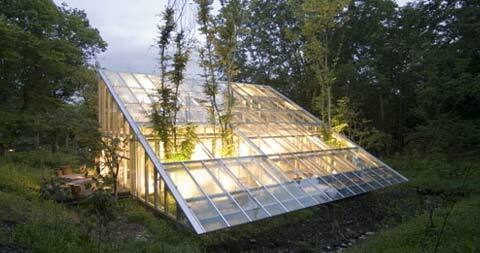 Designed like a greenhouse, this semi-transparent structure features a large, slanting roof made of glass. 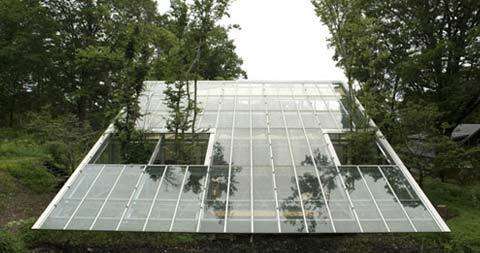 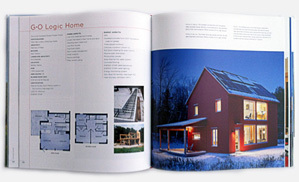 Through large openings, this unique roof design allows a few trees from the garden to pop out towards the sky. 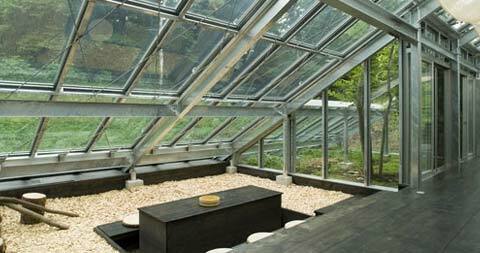 Most of the living spaces are located on the first floor of the house, while the open layout of the second floor provides both storage space and amazing views of the surrounding landscape.